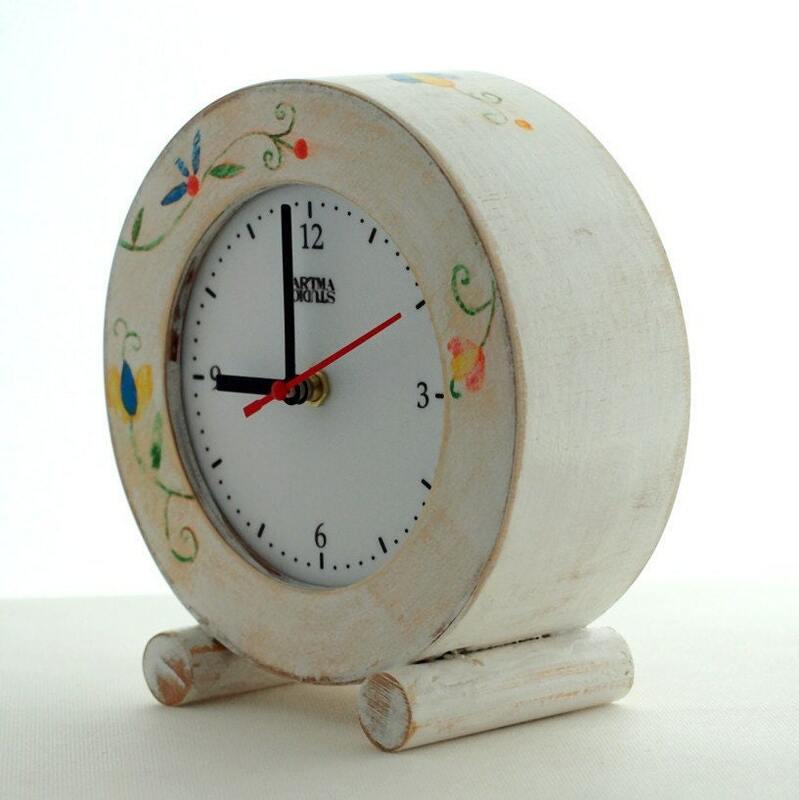 This NO TICKING Wood clock is made solid wood and plywood. Unique Folk art style gift will be perfect for anyone on any occasion like wedding, birthday or Xmas home gift ideas. 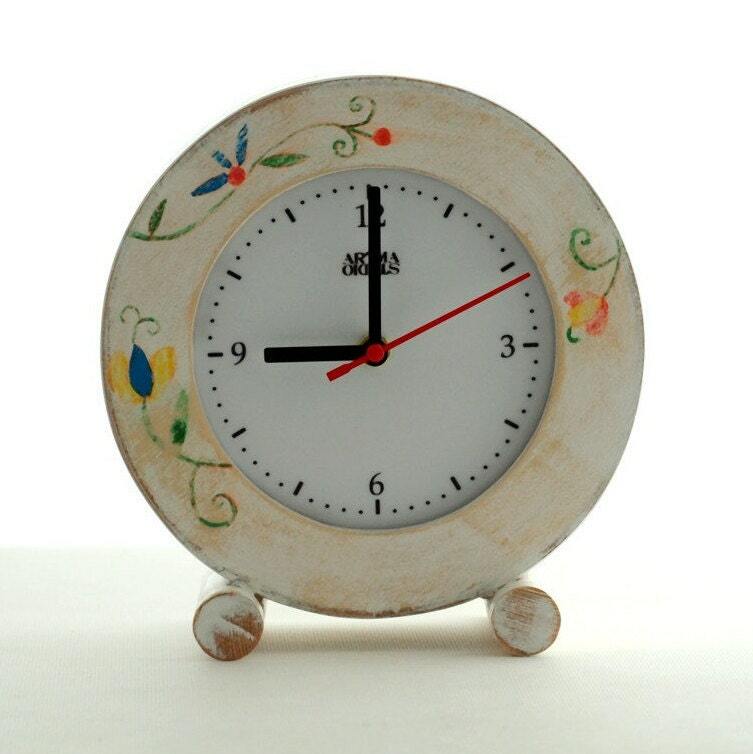 Folk desk clock is handmade and handpainted acrylic paint. 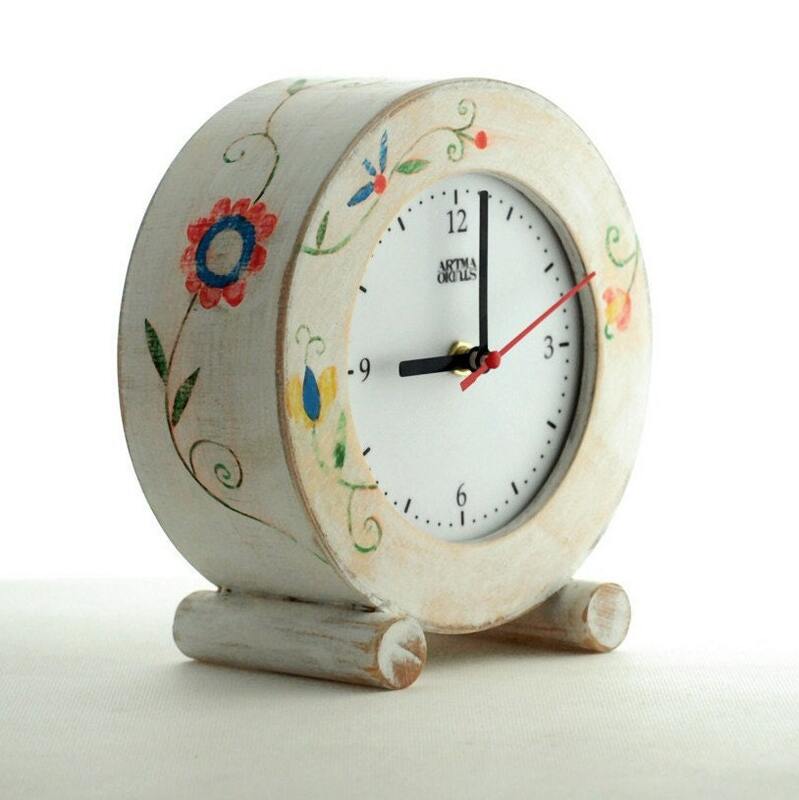 This quiet / silentTable Clock is protected ecological varnish. 18 cm x 19 cm x 9,5 cm. /7" x 7,5" x 4"
This is a sweet clock. Delicate and charming. Description and pictures are accurate. It was packed with care for the journey from Poland to US. Check the size - exactly what I wanted - but I can see buyers assuming it's smaller.